Lifeline Weather Resistant First Aid Kit - BOGO | BUDK.com - Knives & Swords At The Lowest Prices! 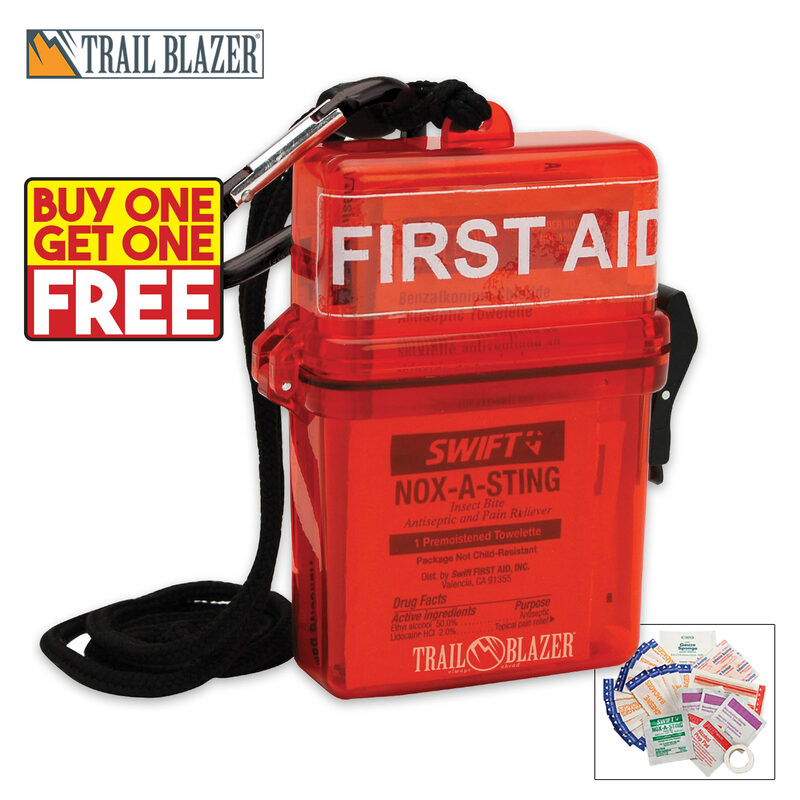 This Lifeline weather resistant first aid kit is compact, durable and practical! It's ideal for all of your outdoor activities. The kit is packed in a red waterproof ABS case complete with a carabiner for convenience and easy transport. It includes assorted first aid pads, a gauze pad, towelettes, bandages and a roll of tape. You get two first aid kits in this package! With BOGO, the price is hard to beat. I purchased about 60 of them to give out at work and to family. They were quite a hit. There is still room to add more supplied if desired.